What should I get on my pizza? It’s the age-old question that has puzzled avid pizza-eaters and casual pie consumers for decades. Centuries, even. Let’s face it, deciding on what kind of pizza to get can be harder than picking out a new car. After all, finding a cure for your hunger is a big decision with so many different factors. Do you have a hankering for the classic favorites? Are you looking for something exotic and flavorful? Do you need vegetarian offerings? How much cheese is too much cheese? Is there even such a thing? Here at Upper Crust Pizza, where we offer all of your favorite topping combinations on our delicious gourmet pizza, we decided to make the debate easier for you. Whether you want a classic pepperoni pizza delivered to you in Santa Fe or want to come in to El Dorado for a gourmet New Mex specialty pizza with Tortilla Flats red chile, shredded cheddar, onion, tomato and chorizo, we’ve got you covered. Take a look at all of our offerings and give us a call today! Now then, let’s get down to it. 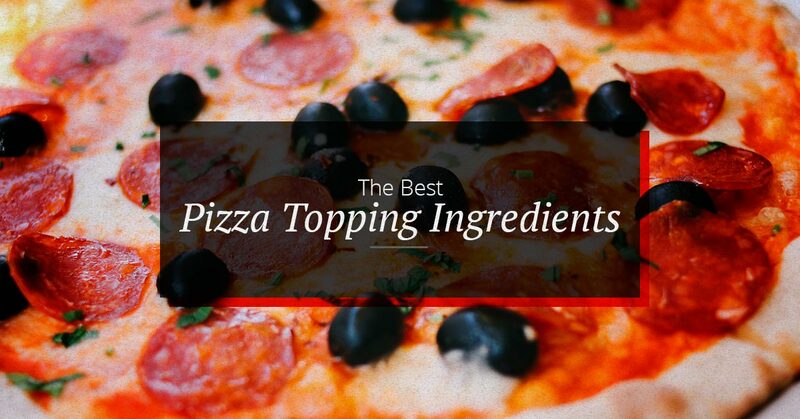 Here are some of the best pizza topping combinations that we think you might really enjoy. Of course, if there’s a combination of toppings that you like even better, come on in to Upper Crust Pizza in Santa Fe or El Dorado and we’ll cook it up for you! As far as traditional pizza purists go, it’s hard to beat the originals. When we talk classic pizza topping combos, we’re talking savory pepperoni, gooey and melty mozzarella cheese and tangy tomato sauce. You may want to sprinkle some parmesan cheese on top for good measure, but let’s face it: You don’t really need much else. One bite of a classic pepperoni pizza from Upper Crust Pizza in Santa Fe, and you’ll be in pure pizza paradise. It’s hard to argue with that. 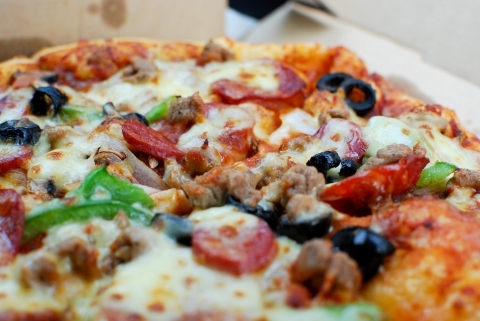 Some other traditional topping combinations can include sausage and cheese, pepperoni and bacon, or even pepperoni and mushrooms. If you’re feeling particularly greedy, you can even combine some of the meats, like pepperoni, Canadian bacon and spicy Italian sausage (a classic Upper Crust Meat Treat, anyone?). You may even want to spice things up with some green chile (a Santa Fe pizza favorite!) or jalapenos, or get some other combo profiles with green or black olives. But as far as the classic combos go, you don’t want to stray too far from those toppings. Ok, so that’s the traditionalist approach. But what about when you’re feeling like a specialty? That’s when the real debate begins. The debate has raged for decades. Do pineapples belong on pizza? You’ll find passionate arguments on both sides of the aisle, with proponents for and against adamantly demanding their opponents drop their case once and for all. Ham and pineapple, commonly known as Hawaiian pizza, dates back to 1962 when the Greek-Canadian cook Sam Panopoulos was said to have experimented with new topping combinations at his restaurant in Chatham, Ontario, Canada, according to the Food Network. What resulted was one of the most highly contentious, but nevertheless best pizza topping combinations in history. Canadian bacon and pineapple are both available as toppings at Upper Crust Pizza in Santa Fe, but we also like to do a little specialty experimenting ourselves. 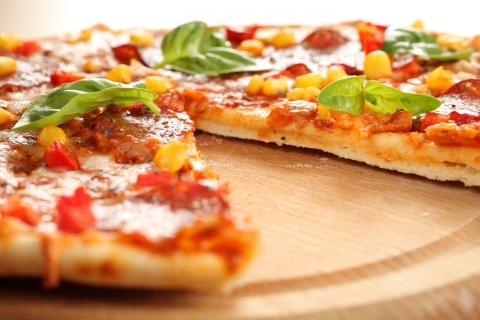 If you’re feeling adventurous, you can’t go wrong with these pizza topping combinations. Judging by our past honors, including being the Top Rated Local® pizza restaurant and being voted the best local pizza of Santa Fe multiple times, our specialty pizza combinations are among the best out there. With our Grecian Gourmet pizza, you get to stray off the beaten path with some feta cheese, kalamata olive, bell pepper, mushroom and fresh garlic. If you feel like something other than a red tomato sauce base, we encourage you to go with our Sunny Chicken Pesto, a lighter option that includes delicious pesto sauce, fresh chicken breast and sun-dried tomatoes. Another classic done right, you can also try our Margarita pizza, brought to life all the way from Italy with our savory red tomato sauce, fresh basil, tomato and fresh melted mozzarella. You can go for a local favorite with a New Mexican heat with our New Mex pizza, topped with Tortilla Flats red chile, shredded cheddar cheese, onion, tomato and chorizo. If you still haven’t found the best pizza topping combination after all of that, there are still some more options available. Maybe you’re looking to play it safe with a traditional cheese pizza. We can do that on our famous traditional, our unique whole wheat crust, or our outstanding gluten-free crust no problem. You can even go full veggie, with mushroom, bell pepper, onion, black olive, green chile, fresh tomato and sesame seeds. And of course, there are thousands upon thousands more combinations that you can build yourself. Everyone has their favorite pizza topping combination. It’s up to you to find yours. But don’t worry, you’re not alone. Upper Crust Pizza in Santa Fe and El Dorado is here to help. Come in today, or place an order for delivery if you’re in Santa Fe, and dig in to all of the best pizza topping combinations, only at Upper Crust Pizza.